Sana Hassainia, the MP for Verchères—Les Patriotes, Que., is the fourth MP to leave the NDP ranks since the last federal election in 2011. 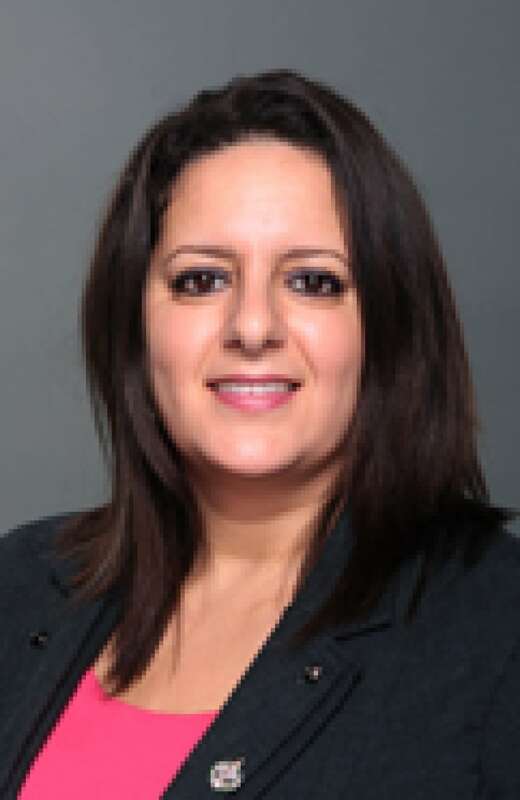 Sana Hassainia, the MP for the Montreal-area riding of Verchères—Les Patriotes, is leaving the NDP to sit as an Independent until the next federal election in 2015, citing irreconcilable differences with Tom Mulcair's leadership style and the party's position on the conflict in the Middle East. NDP blocks Paul Manly, son of former MP, from seeking 2015 bid in B.C. In a letter posted on her blog, Hassainia said: "It was not an easy decision to make, even if I have been thinking about it for months. My decision to leave the NDP was precipitated, among other things, by the party's positions on the Israeli-Palestinian conflict." Mulcair said last week he was proud of the "NDP’s principled and balanced approach" to the Middle East. "It’s what Canadians want to see," he said in a post on Twitter. The NDP leader has criticized the Conservatives and the Liberals for their "one-sided" approach, saying he supports Israel’s right to defend itself against Hamas while pushing the federal government to help Palestinian casualties injured by Israeli missile attacks. In her blog, Hassainia blames "pressures within and outside the party" for the NDP's shift towards a more pro-Israel stance. "To declare that we are in favour of peace in the Middle East is not a position, in fact it's a non-position — it's a way to avoid the issue and postpone a discussion on a topic that 'angers.'" Hassainia also alleges in her blog that she was "punished" for supporting Brian Topp, Mulcair's rival in the leadership race, whose pro-Palestinian position she considered to be closer to Layton's than that of Mulcair's. She claims she paid the price by losing her position on the Commons committee on the status of women and was relegated to the backbenches. Asked about her departure, Mulcair told reporters in Oshawa today the NDP has long favoured a two-state solution in the Middle East. "A safe, secure state within negotiated borders for Israelis, and a safe, secure state within negotiated borders for Palestinians. Sana, in her note, made it clear that she doesn't agree with that. "That's been our position for many years. It was Jack's position, it's mine and so she's decided that she doesn't want to sit with us, that's her choice," Mulcair said. A source inside the NDP told CBC News the party did its best to accommodate Hassainia's need to be with her young children, even letting her use the leader's office to breastfeed. Despite their best efforts, the source said, the MP did not show up for votes. In an interview with Radio-Canada Wednesday afternoon, Hassainia, who has given birth to two children since 2011, deplored the party's attempt at discrediting her attendance record. "If the NDP today is citing my lack of availability, I think it's in bad faith because during the entire period spanning from 2011 until June 2013, I was always there," the MP told Radio-Canada. She said she was disappointed with the internal workings of the party as well as with Mulcair's leadership style which she characterized as so strong it made it impossible to debate topics considered "taboo." Hassainia said she told Mulcair in September 2013, almost a year ago, that she would not seek re-election but the party asked her to keep quiet for fear the news would have "a snowball effect." Postponing the announcement would also give the party time to find a new candidate. In a draft of the announcement prepared last month, and obtained by CBC News today, Hassainia cites the need to spend more time with her family as the only reason for her departure. But in an accompanying email dated July 25, Hassainia appears to tell an NDP staffer that she wants to make "some small changes." Reached by the NDP on Aug. 6, Hassainia said "the good version" of the announcement is coming shortly. Mulcair told reporters Hassainia gave no hint until today that she took exception with the party's position on the Mideast or his leadership style. The Quebec MP said she will serve out the rest of her mandate as an Independent but will not run for office in 2015. Hassainia, is the fourth MP to leave the NDP ranks since the last federal election in 2011, under the orange wave that swept la belle province under the late party leader, Jack Layton. Bruce Hyer left the NDP for the Greens, Claude Patry for the Bloc Québécois, and Lise St-Denis for the Liberals. Earlier this summer, the party suspended Manon Perreault, another MP from Quebec,​ after criminal charges were laid against her.